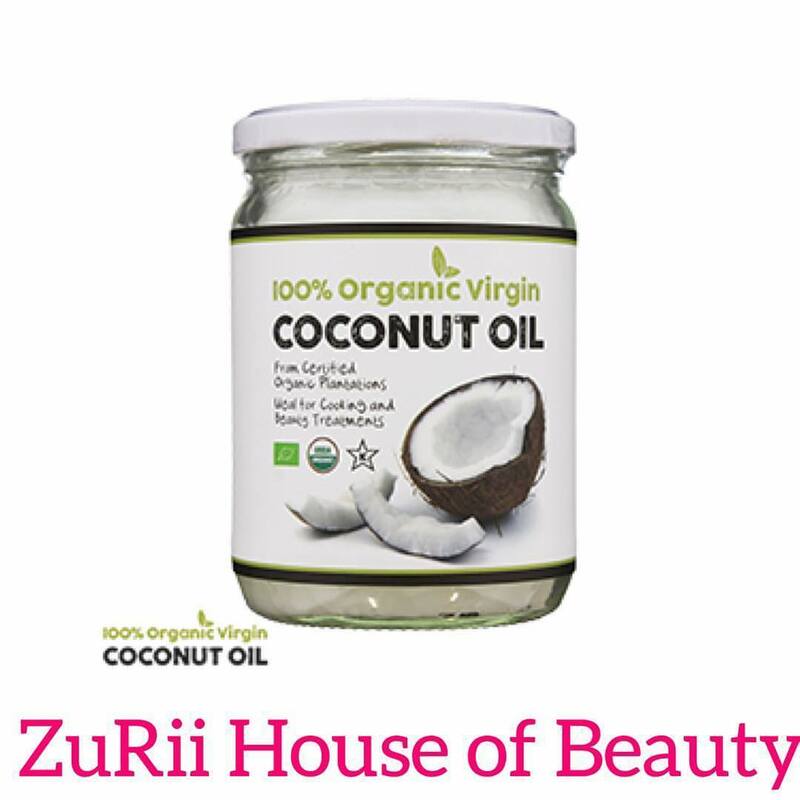 Home / beauty products / coconut oil / organic virgin coconut oil / ZuRii House of Beauty / 100% ORGANIC VIRGIN COCONUT OIL FOR YOUR HAIR, SKIN & COOKING TOO! 100% ORGANIC VIRGIN COCONUT OIL FOR YOUR HAIR, SKIN & COOKING TOO! Tip: Rub a dime-sized amount (a little goes a long way with this stuff) of coconut oil on to dry ends to hydrate and tame frizzy flyaways. On your face, apply as you would your normal moisturizer. While it tends to have a greasier consistency (at first), it’s fantastic at absorbing quickly into skin. A spoonful is enough to hydrate your entire body; swap it in for your current lotion. What to look out for when purchasing your first jar: “Look for extra virgin, that has not been hydrogenated, bleached, refined or deodorized. Organic will ensure 100 percent non-GMO, which is also preferable. Coconut oil is best consumed in moderation, in its virgin or unprocessed form. It is vital that we consume coconut oil in a totally unrefined state. If it has been refined in some way, which could include processes such as bleaching or deodorizing, it becomes much harder on our liver. Tip: The good news is that with the oil’s growing popularity you can find it pretty easily — from Whole Foods to the Vitamin Shoppe to Amazon. Why it’s also a fantastic cooking ingredient: “If there is a dish that you would like to cook with a small amount of oil, coconut oil is a great choice because it has a lower smoke point than other oils. In other words, because it is nearly a completely saturated fat, it is much less susceptible to heat-induced damage and will stay stable at higher temperatures. It’s also great in baking. While coconut oil is a saturated fat, it is cholesterol free and trans-fatty acid free and has actually been shown to help lower cholesterol levels due to its ability to stimulate thyroid function. Tip: Supermodel Miranda Kerr is a big fan of coconut oil, and adds it to her salads and in her green tea. She sees the effects by way of shiny hair and breakout-free skin.